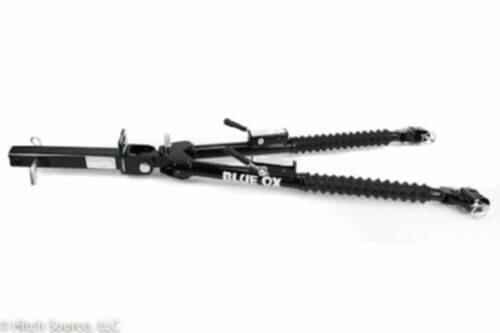 Blue Ox Base Plates are specifically designed to fit each model of car or truck. That means that Blue Ox Base Plates mount securely to the frame of your vehicle and provide easy and convenient installation and hook-up. Each set of base plates is made in the USA and powder coated for durability and good looks. Each set of Blue Ox Base Plates include the mounting hardware and detailed installation instructions with pictures. Once you've used our base plate selector above to locate the Blue Ox Base Plates for your vehicle, you will find installation descriptions and download links for detailed base plate installation instructions for your specific vehicle. Many of our customers install Blue Ox Base Plates by themselves, while others have their base plates installed by the mechanic of their choice. As always, feel free to call our expert support team if you have any questions or need advice about Blue Ox Base Plates. Blue Ox Base Plates are MADE IN USA! Simple installation - No drilling on most applications!